my heart belongs to each of these photos. the flower arrangement...and that wall, oh that dark, wood-planked wall...they may be perfect. surely, they are perfect. i would hang these lights in a foyer. above a table. against that wood-planked wall and above that flower arrangement. 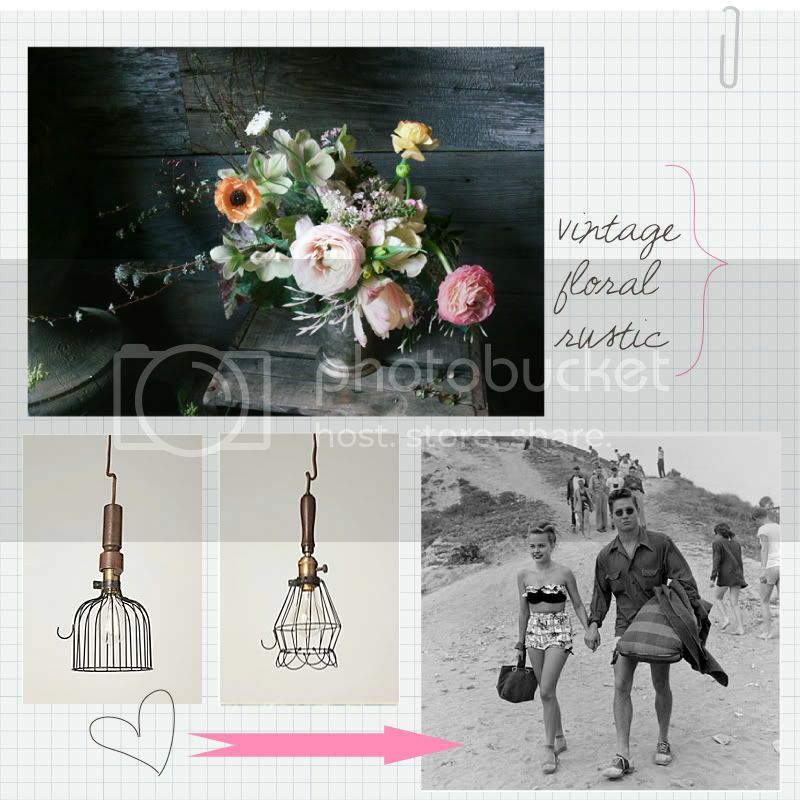 if only those flowers would live forever beneath those quirky, industrial pendants. i would travel back in time if, for a day, i could tromp along the sand looking and feeling as fabulous as that couple. where's Doc and the delorean when we need them?